This should serve at least three people, depending on appetite! 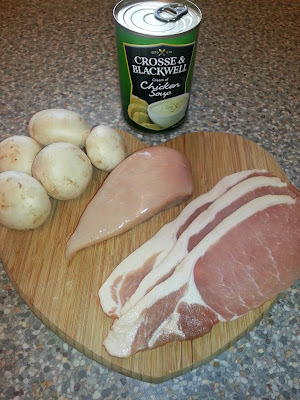 All you have to do, is chop the chicken and bacon into small pieces and fry, in a little oil, for about five minutes, in a large pan or wok, before adding the mushrooms (chopped and peeled). 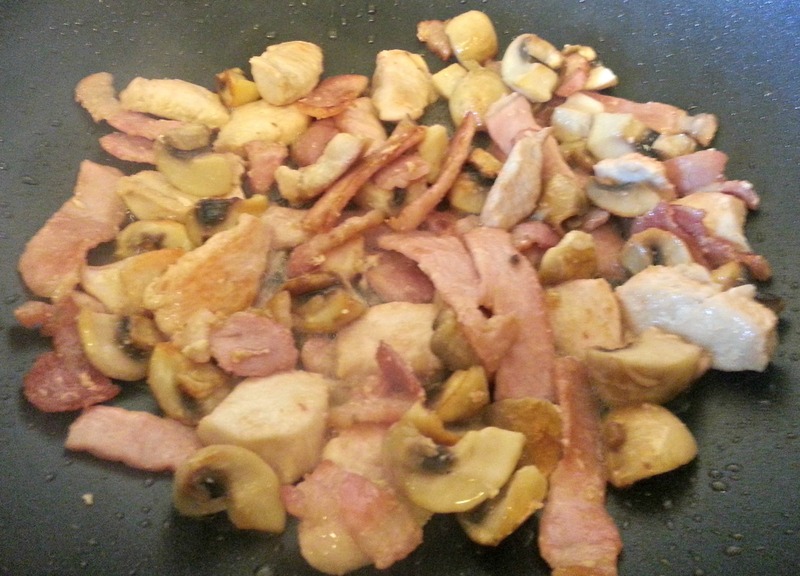 Continue frying, over a medium heat, until the mushrooms are browned and the chicken is cooked through. 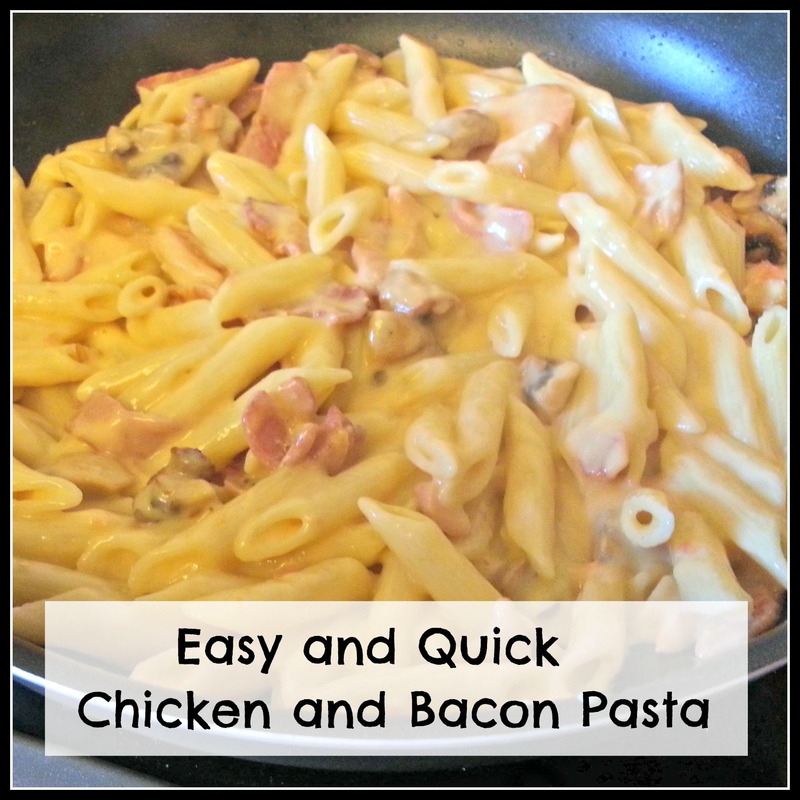 In the meantime, cook the pasta, as per the instructions. It doesn't matter if it gets cold while you wait for the meat to cook through. 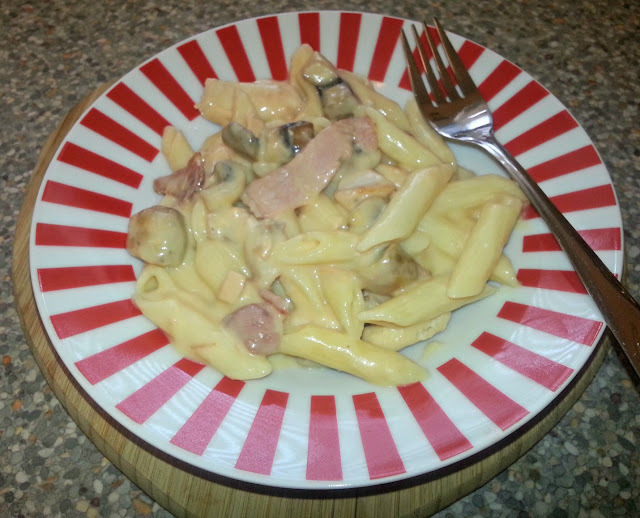 Once the meat is ready, add the drained pasta to the wok, along with the chicken or mushroom soup, stir well and allow to simmer on a low heat for about five minutes, until it's bubbling, stirring occasionally. 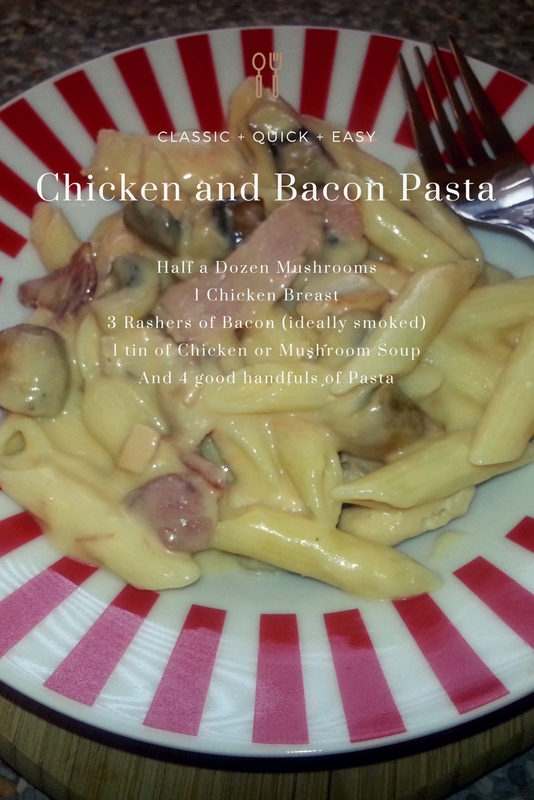 Once it is piping hot throughout, serve and enjoy! 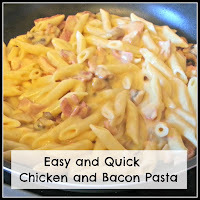 This is such a quick and easy recipe, I love it! Will add it to the menu I think. We do one similar with cream of mushroom soup, chicken and pesto - it is absolutely delicious and feels like a really naughty tea when you are trying to ignore the calls of a takeaway menu. Sounds lovely - and so easy - thank-you! !